Nutbourne.org is served on a Unix platform, and was prepared in Microsoft Windows 10 x64 on an Intel Core i7 computer. It is written in HTML using Adobe Creative Suite CS5.5 Master Collection. The menus were created in Adobe Fireworks CS5.5, with images prepared in Adobe Photoshop CS5.5 Extended and the page content in Adobe Dreamweaver CS5.5. 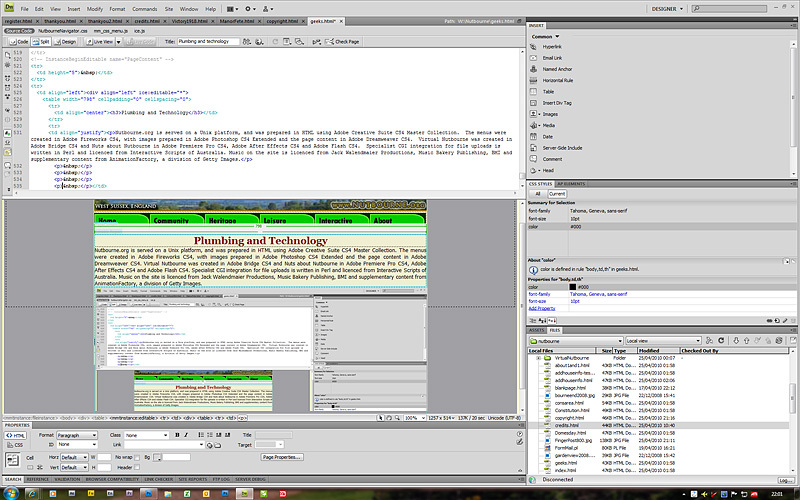 Virtual Nutbourne was created in Adobe Bridge CS5.5. Specialist CGI integration for file uploads is written in Perl and licenced from Interactive Scripts of Australia.